Katinka Hosszu, who has been having an extremely impressive year, especially on the World Cup Circuit and at the Mare Nostrum series of meets. She came into the competition ranked third in the world with a time of 2:09.75 and will be entering the finals in the top position after putting up a 2:08.59 in the semi-final. Her time in the semis was just a touch slower than the 2:08.45 that she recorded in the preliminaries, which was a lifetime best and over two seconds faster then the 2:10.68 she entered the 2012-13 season with. 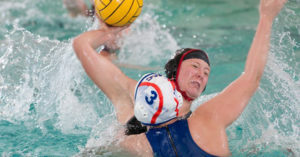 Hosszu, who had a great deal of success at USC, made a decision after graduation to continue her training with then-boyfriend, now fiancee and manager, Shane Tusup. After not having a great meet at the Olympics, the decision was questioned by many in Southern California (and beyond). If early returns here at the World Championships are any indication, though, last year was last year, and Hosszu and Tusup are in a groove in a big way. Hosszu was great all year long, and has been great in her first two swims at this meet. Sophie Allen of Great Britain qualified fourth in a time of 2:10.23, which is a lifetime best by over a second. Spaniard Mireia Belmonte Garcia got a great deal of support from the home crowd on her way to qualifying fifth in a time of 2:10.66, which is a season’s best by one one-hundredth of a second. Hungarian Zsuzsanna Jakabos grabbed the final spot in the top eight recording a time of 2:11.21. There were four European women who made the final in the women’s 400 freestyle they included; Melanie Costa Schmid (ESP), Jazz Carlin (GBR), Boglarka Kapas (HUN) and Camille Muffat (FRA). Melanie Costa Schmid provided the Spanish crowd something to cheer about finishing second in a national record time of 4:02.47. Costa Schmid broke her own national record, which she set in the prelims qualifying for the final in a time of 4:04.20. What made this swim even more impressive is that her lifetime best time coming into the competition was a 4:06.02 that she recorded in March. Jazz Carlin of Great Britain finished four in a time of 4:04.03 just behind Lauren Boyle of New Zealand who collected the bronze finishing in a time of 4:03.89. Through the year Carlin and Boyle have been very close in the times they have posted coming into Barcelona Carlin had the fifth fastest time in the world of 4:04.25 just behind Boyle who was ranked fourth with a time of 4:04.24. 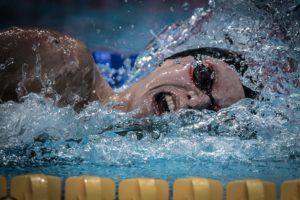 Carlin’s time of coming into the competition, which she recorded at the British trials, was an improvement on her lifetime best of 4:05.51 which she swam in 2011. Boglarka Kapas of Hungary finished fifth with a time of 4:05.90. Kapas lifetime best of 4:06.34, which she swam earlier this year had her ranked 10th in the world coming into the event. She has had a very good year improving on her 2011 lifetime best time of 4:08.22 by close to two and a half seconds. As much as it was an incredibly pleasant surprise to see Costa Schmid so well to collect the silver, it was equally shocking to see Camille Muffat of France finish seventh in a time of 4:07.67. After Muffat had posted a prelim time of 4:05.53 most had assumed she was conserving energy for the final, but that was not the case. Coming into the meet Muffat, who set the short course world record in November swimming a 3:54.85, was ranked number one in the world having posted a time of 4:02.84 in June. There was only one european male who cracked the top eight in the 400 freestyle, that was James Guy of Great Britain. Guy finished fifth in the final with a time of 3:47.96. He qualified in eighth position in the final with a prelim time of 3:47.86, 13 one-hundredths of a second ahead of his British teammate Robbie Renwick. Coming into Barcelona Guy’s lifetime best was a 3:48.21 which he posted at the British trials in June and was the 15th in the world rankings. Guy has made incredible improvements in the last year, coming into the year the 18 year old had a lifetime best of 3:51.84. Three European women advanced to the final in the women’s 100 butterfly they included; Sarah Sjostrom (SWE), Jeanette Ottesen Gray (DEN) and Ilaria Bianchi of (ITA). 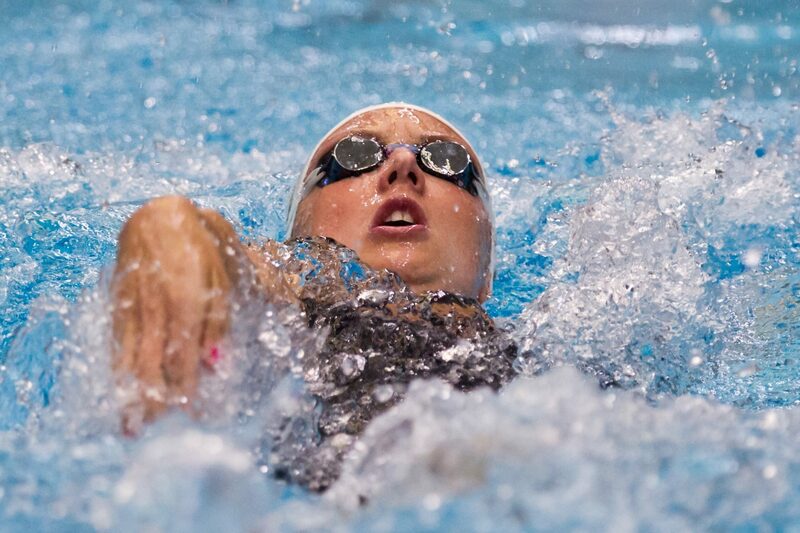 Sjostrom came into the competition ranked fourth in the world with a time of 57.63, tied with Ottesen Gray, she will be swimming in lane four in the final having posted the fastest time of 57.10. 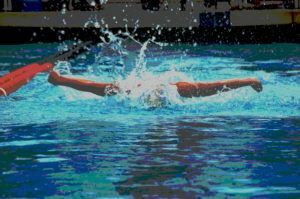 Sjostrom’s textile best was recorded at the 2012 British Gas Swimming Championships in 2012. Ottesen Gray’s qualified second with a lifetime best and new Danish record of 57.19. She broke her own national record of 57.25, which she set in the semi-finals at the 2012 Olympics in London. Coming into the competition Ottesen Gray was ranked fourth in the 100, but is also ranked number one in the 50 butterfly with a time of 25.56. Ilaria Bianchi of Italy is heading into the final in seventh place. Bianchi recorded a time of 58.29, which is just off her season’s best of 58.14 that was the 12th ranked time in the world coming into the competition. Her lifetime best was recorded in London where she placed fifth in a time of 57.27. Over half of the men in the 50 butterfly final will be European they include; Yauhen Tsurkin (BLR), Frederick Bousquet (FRA), Andrii Govorov (UKR), Steffen Deibler (GER) and Florent Manaudou (FRA). Belarusian Yauhen Tsurkin qualified in third position with a time of 22.90. Tsurkin broke his own national record of 23.25 which he set earlier in the year. 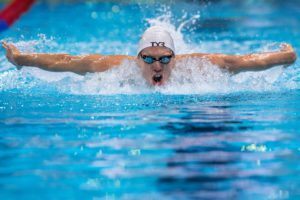 Heading into Barcelona Tsurkin had an excellent showing at the World University Games where he tied Andrii Govorov for gold in the 50 butterfly and finished second in the 100 butterfly recording a lifetime best of 51.80. 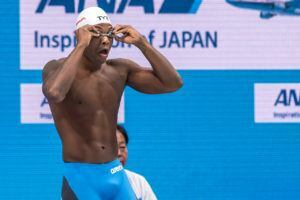 Frederick Bousquet will be heading into the final fourth with a time of 22.93, coming into the meet he had posted a 23.00 in April, which had ben the fastest time in the world this year. 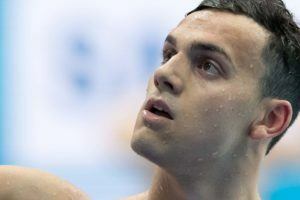 Andrii Govorov of the Ukraine qualified in fifth in a time of 22.97, Steffan Deibler of Germany qualified sixth in a time of 23.02 while Florent Manaudou of France qualified in seventh with a time of 23.15. Two European men qualified for the 100 breaststroke final. Damir Dugonjic of Slovenia qualified fourth in a time of 59.80. The time was impressive for Dugonjic who came into the competition with a lifetime best of 1:00.36 which he recorded earlier this year. Italian Fabio Scozzoli also qualified for the final in the seventh position recording a time of 59.90. Coming into the competition Scozzoli’s season best of 59.77 was ranked second in the world. Four European teams competed in the final, they included; Netherlands, Sweden, Russia and Germany. The Swedish team finished fourth in a time of 3:36.56, the Russians finished sixth in a time of 3:38.45 with the Germans finishing eighth in a time of 3:39.57. Sarah Sjostrom was the only other European woman to swim under 53 seconds posting a 52.95. The men’s 4 x 100 freestyle was the most exciting race of the evening with the top four teams finishing within four tenths of a second of each other. The French who were behind the Americans, Russians and Australians heading into the final 100 meters got a tremendous swim from Jermey Stravius who split a time of 47.59 to over take the three other teams and power the French to the victory in a time of 3:11.18. The Russians finished in third in a time of 3:11.44 only two one-hundredths of a second behind the Americans. The Italians finished fifth in at time of 3:12.62 with the Germans finishing sixth in a time of 3:13.77. Whatever it is Katinka Hosszu is doing this year is working. It looks like she is gonna sweep both IMs. I also think she is going to be a force in the 200 free. Her physique has transformed quite a bit and has so far dropped 2 seconds from her personal textile best in the 2IM. Quite an impressive transformation considering she is 24! I hope its all legitimate. Completely agree, I would really like to see Katinka win a gold, and she has nothing to prove to anyone about her toughness and resilience. Do the smart thing Katinka! You predicted it correct. Ruta seemed to be all-out. Efimova 2:18?! If that happens, even RMP will be in trouble. I have still some doubts. I picked RMP first in W’s 200m breast and I stick with that. I find it hard to know how much Rikke can drop this year. Last year she had a big drop in the Olympics from 2:24 coming in to 2:21.65, but she also had that stress fracture earlier in spring which meant she trained a bit differently so I don’t know. I just hope this is her year, she has worked so hard and improved so much over the last 2 years.